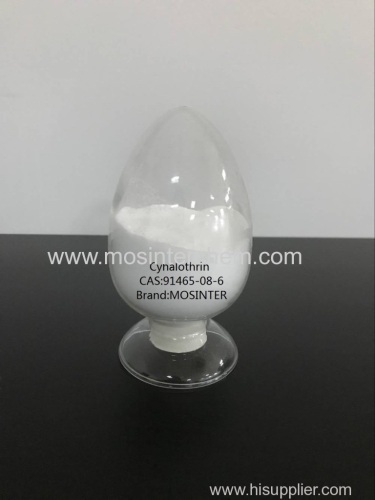 Cyhalothrin is a broad-spectrum pesticide and acaricide that is used to control a wide range of pests in a variety of applications. 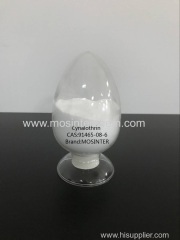 It belongs to the pyrethroid, a class of synthetic insecticides which has the similar structure and insecticidal activity of the naturally occurring insecticide pyrethrum, derived from the flowers of chrysanthemums. It is commercially used for controlling insects on non-food crops, greenhouses, hospitals, and crops, such as cotton, cereals, hops, ornamentals, potatoes, vegetables, etc. and it targets various kinds of pests, including aphids, Colorado beetles and butterfly larvae. Besides, it is effective to used in public health applications to control insects identified as potential disease vectors, such as cockroaches, mosquitoes, ticks, and flies.